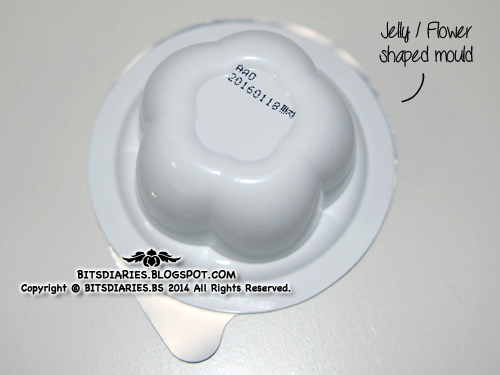 The Mini Capsule Pack comes in a plastic jelly/flower shaped mould sealed with a foil cover. The foil cover can be easily unsealed. However, once you unsealed the cover, you can't reseal it. Hence, if you don't plan to finish the pack at one go, you probably need a container to store the leftover like what I did. 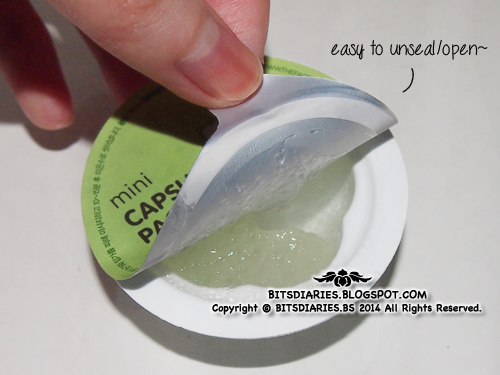 The number of usage for each capsule pack depends on how much you apply and the size of your face. Each capsule pack has enough product for me to use twice. 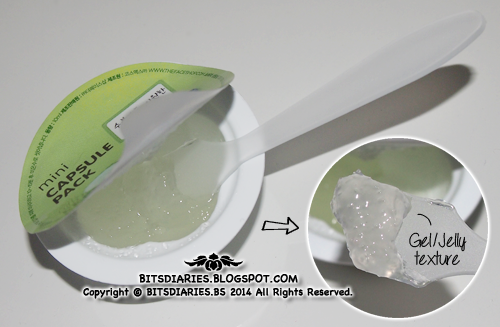 It does not come with a spatula so if you have spatula at home, you can use it to scoop out the product. Apply on skin for 15 minutes. It doesn't drip or make any mess. I don't find it greasy however, the skin does feel a little sticky right after washing it off. On the positive side, the sticky-feel only lingers for awhile. Before applying the mask, my mom's skin moisture level was 32.6%. After applying the mask, my mom's skin moisture level increased to 40.8%. 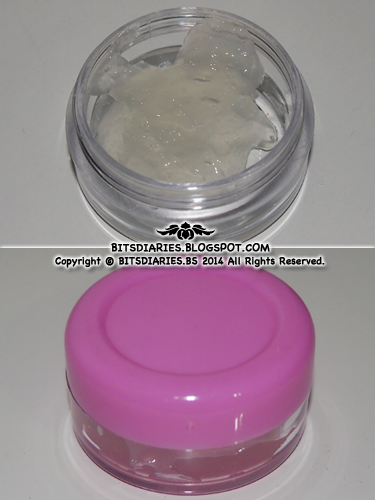 Moisture gained before and after applying the mask was 8.2%. I concluded that this mask does moisturizes the skin. 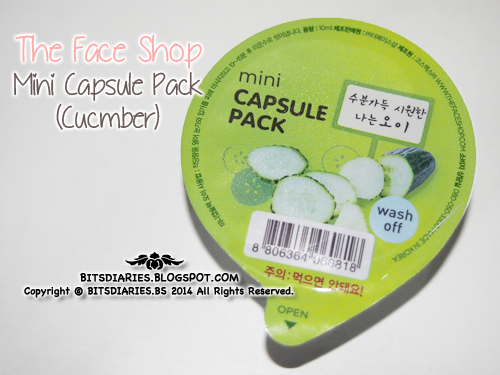 Verdict: In my opinion, this Cucumber Mini Capsule Pack is a very basic soothing and hydrating mask, which I think it can be use 2-3 times per week. I don't see any brightening effect after using it though... I find it perfect to use after a long day in the sun or in a hot weather as it helps to soothe and cool the skin while replenish skin moisture, leaving skin feeling soft, smooth and moisturized. Hi Ashley! Nice post! I tried the Seaweed version before and it was fun! But unfortunately, these aren't available in MY store anymore. Hope I can grab it during my next visit to SG! Sounds so good! The moisture test showed impressive results too. Think I might go get this from Qoo10!